Don’t forget about eWriteSteps Engagers! Two years ago, I went into one of our WriteSteps schools to proctor in a 4th grade classroom that was taking the Michigan state assessment. During the writing portion, the students had thirty minutes to compare and contrast pollution on land vs. pollution in the ocean. Although this prompt was different than anything we had done in the past, I felt confident that the students would still do well with all of the writing we had done that year. The teachers and I had worked hard at training the kids to always plan their writing before they wrote. We saw this helped create more focused and organized pieces of writing. What I saw next was shocking! Out of a class of 28 kids, I saw about 4 kids plan their writing! What happened?!? 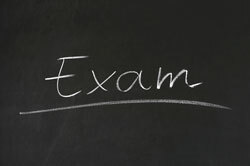 Did our teaching go out the window because students were under time constraints? Or, was it because they hadn’t internalized the need to plan their writing? These seven tips will be helpful for preparing your students to stay focused and on task while writing. Teach students what kinds of plans go with what kinds of writing. For example, we wouldn’t want students to use a beginning, middle, and end plan when they are asked to compare and contrast. If you use a graphic organizer worksheet, teach students how to quickly recreate it. If there’s a difficult word in the prompt, teach them to replace it with a word that they think is similar. When students encounter an unknown name in a passage (e.g., Rodriquez) have them replace it with any name that they know (e.g., Robert). Tell your students to relax. Their brain needs to be in a relaxed state to do its best work. Encourage them to do their BEST and not to give up! Make sure your students know it is ok to ask questions when they don’t understand the directions. Not all kids are developmentally ready to write for 30-40 minutes. 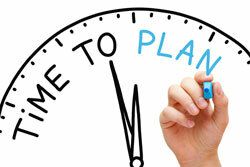 Start out the beginning of the year with short intervals of timed, yet specific, prompted assignments. Slowly increase the time to build stamina. The old adage, “practice makes perfect,” couldn’t be more true than when it comes to preparing your students for writing on assessments. 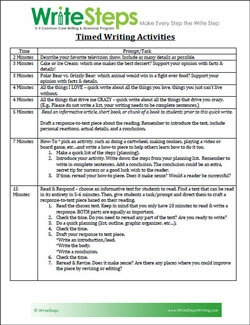 Varying the time limit in their writing prepares them for different types of testing/writing situations. Don’t forget! 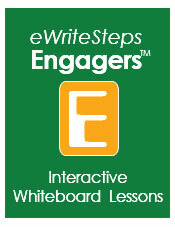 For a limited time, eWriteSteps Engagers™ are available to 2nd and 5th grade teachers with an active eWriteSteps subscription at the special introductory rate of $40 per teacher. The second semester lessons (Units 3a-6) will be available for use through June 30, 2015. For further information, and to watch a video of eWriteSteps Engagers in action. We are seeking consultants to provide professional development and assist educators in using our materials effectively. 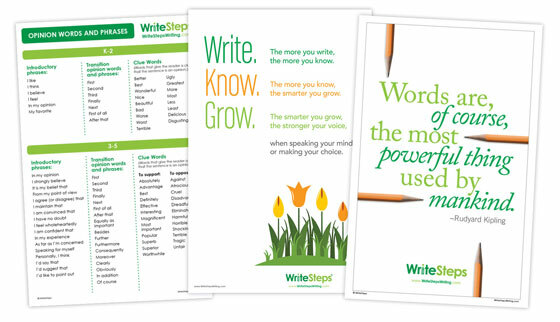 Our K-5 writing program, WriteSteps, is used and promoted nationwide in public, private, and charter schools. We would like to have enough consultants that each could work in his/her own regional area, however travel is a necessity. The positions we seek to fill are contracted, part-time, positions. Assignments might range from once or twice a week, to once or twice a month. Our employees are compensated by the day; the rate of daily pay varies depending on travel expenses. Our coaches are certified educators, often retired or taking time off from teaching. Ideally, applicants will have had direct experience with WriteSteps. If you are interested in applying for the position, send your resume to Arlynn King at [email protected]. We will contact you shortly after the receipt of your information. A WriteSteps Coach travels throughout the United States to provide professional development for schools that have purchased WriteSteps. Learn the program and keep up-to-date with revisions, so you can effectively deliver professional development sessions. Communicate with a school administrator who requests professional development in order to set a schedule and agenda. Travel to the school taking needed materials and handouts. Meet with small groups of teachers (usually grade-level groups) and facilitate coaching sessions – These may include such topics as: teacher Q&A, pacing, management, lesson presentation, modeling, conferencing, assessment, formative assessment, scoring using the rubric, etc. Respond to emails and/or phone calls from staff members you have met with who have further questions or ideas to discuss. Model lessons or conferencing for small groups. Observe teachers teaching WriteSteps lessons and provide feedback. Our posters have been such a great hit with teachers around the nation! Thank you for your wonderful feedback. We wanted to introduce some new ones, while also sharing with you some of our past posters, in case you may have missed one!